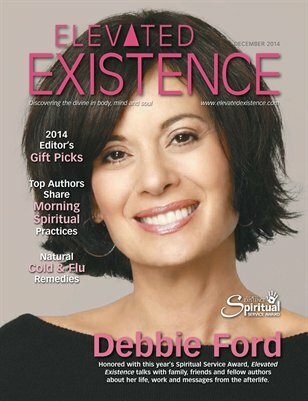 Elevated Existence honors Debbie Ford with the 2014 Elevated Existence Spiritual Service Award for her innovative work with the shadow self before she passed in 2013. Ford taught others to embrace both the dark and light sides of themselves and to integrate them through a unique three-step process. We talk with friends, family and more, including how she is still helping others in the afterlife.